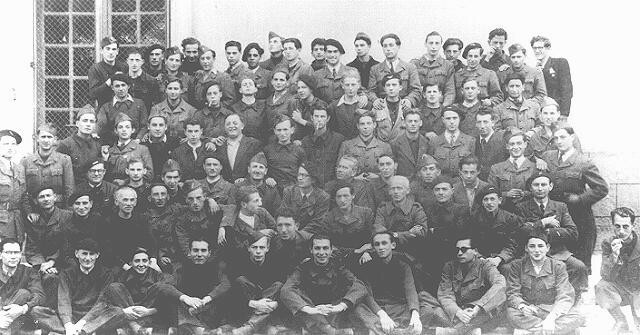 Group portrait of a Jewish French underground group named "Compagnie Reiman." This photograph was taken after the liberation of France. Paris, France, 1945.